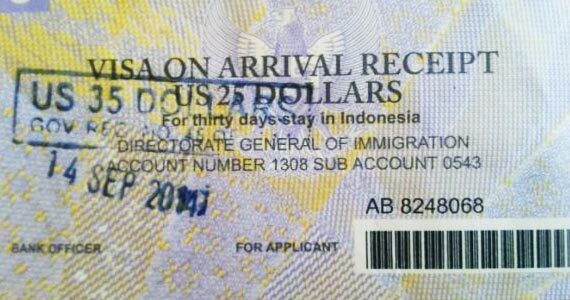 The tourists who are traveling to Bali or Indonesia must obtain a visa from one of the Indonesian diplomatic missions unless derived from one of the countries visa-free or visa after applying the country of arrival (visa-on-arrival). 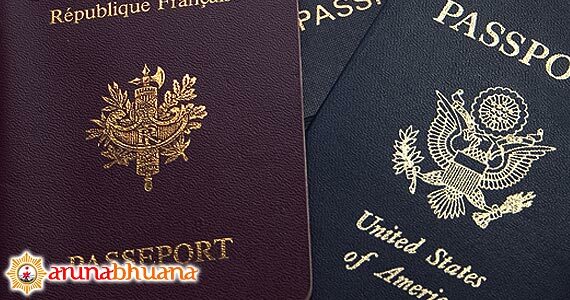 All travelers must have a passport valid for 6 months. Republic of China, Russia, South Korea, Japan, United State of America, Canada, New Zealand, Mexico, British, Germany, France, Netherlands, Italy, Spain, Switzerland, Belgium, Sweden, Austria, Denmark, Norway, Finland, Poland, Hungary, Czech Republic, Qatar, the United Arab Emirates, Kuwait, Bahrain, Oman and South Africa. Other EU member states (Luxembourg, Ireland, Greece, Portugal, Estonia, Latvia, Lithuania, Malta, Polish, Cyprus, Slovenia, Slovakia, Bulgaria, Romania, Croatia) and EFTA (Iceland, Liechtenstein) except Croatia. 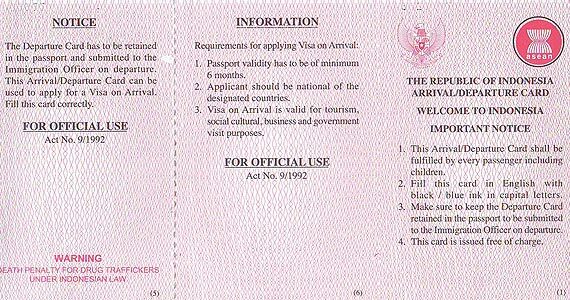 Prior to arrival, overseas travelers are usually given a card 'arrivals and departures'. 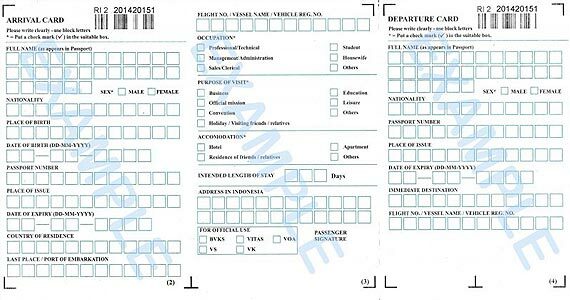 Departures Card should be saved because it will be returned to the immigration officer before leaving Indonesia.